The Northeastern Workforce Development Board (NWDB) is a group of community leaders appointed by local elected officials. We serve five counties, including: Aroostook, Hancock Penobscot, Piscataquis, and Washington. The purpose of the NWDB is to provide policy, planning and oversight for workforce development programs, and address workforce barriers as identified by the communities. In addition, we also work to link recovery with the workforce system. a better place to work and live. 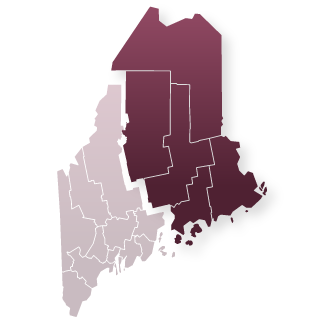 The Northeastern Workforce Development Board serves Aroostook, Hancock, Penobscot, Piscataquis, and Washington Counties. We believe in helping people reach their full potential. This kind of investment is not only good for people, it’s good for business! For more information about the Northeastern Workforce Development Board and how it benefits your region, please contact us.